Elegant Vienna's Blog: How to get a ticket for the New Year's concert in Vienna? How to get a ticket for the New Year's concert in Vienna? This is a question that many of our guests ask and I didn't have a clear answer until Sara D. an amazing British lady stayed in Concerto and went to the New Year's concert. She was so kind as to give us all the details of the process that she successfully went through. 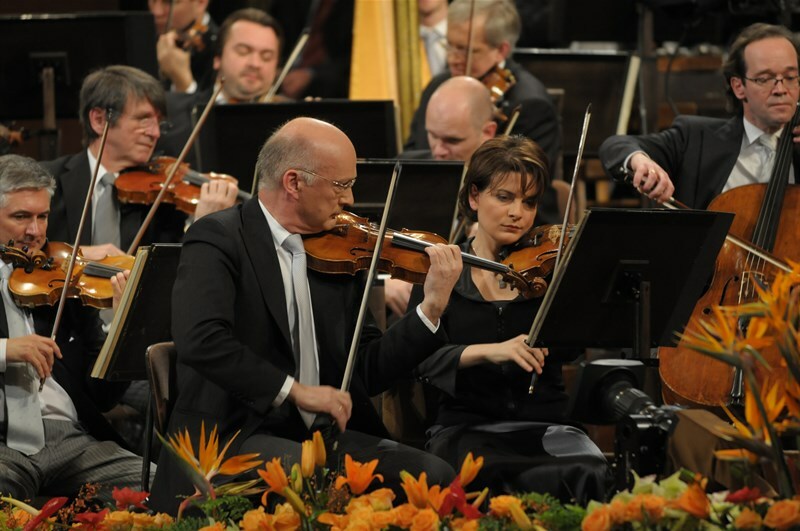 The New Year's Concert is arguably the single most popular classical concert event in the world. It always takes place in the Großer Saal of the Musikverein, featuring the most famous conductors from all over the world (a different one each year). Check the Wikipedia page for more information. First of all, the "official" way of getting tickets involves registering for a lottery: check here the official page of the Wiener Philarmoniker. The probability of winning the lottery is vanishingly small. Now to the real world possibility to get a ticket, real world meaning deep pockets of course. There are ticket agencies who work as a middle-man between individuals who want to resell their tickets and the buyer. Sara, after an extensive research, went for www.viennaconcerts.com. But there are other agencies out there; just make sure that they are legitimate (check for reviews, call them on the phone..). "The process was very smooth. Viennaconcerts guarantee that the tickets are authentic and I made a direct bank transfer to the individual selling her tickets. Even though the tickets are ridiculously expensive, the prices were stable for each category and didn’t keep increasing like they do on bidding sites like ebay. We also had the option of collecting the tickets from their office, getting them delivered to our hotel, or getting them posted to us by secure courier." Prices range from 2,200€ to 3,300€, per ticket (!). This is a steep price to pay for one concert, no matter how good it may be; however Vienna does offer a range of extremely good quality classical concerts the whole year through at very affordable prices. Virtually all Viennese go regularly to concerts and the Opera. What is your feeling? Have you been to the New Year's concert? Was it worth it? It is very expensive! Even for the autograph from Daniel Barenboïm!!! Welcome! This blog is all about Vienna and contains useful articles for visitors of this city, especially if they have rented an apartment or are thinking about renting one for their stay. We are vacation rental owners ourselves, we live in Vienna, and will try to be as objective as possible in our advice. Professional photographer uses Concerto as setting!! copyright 2013@elegantvienna.com. Simple theme. Powered by Blogger.